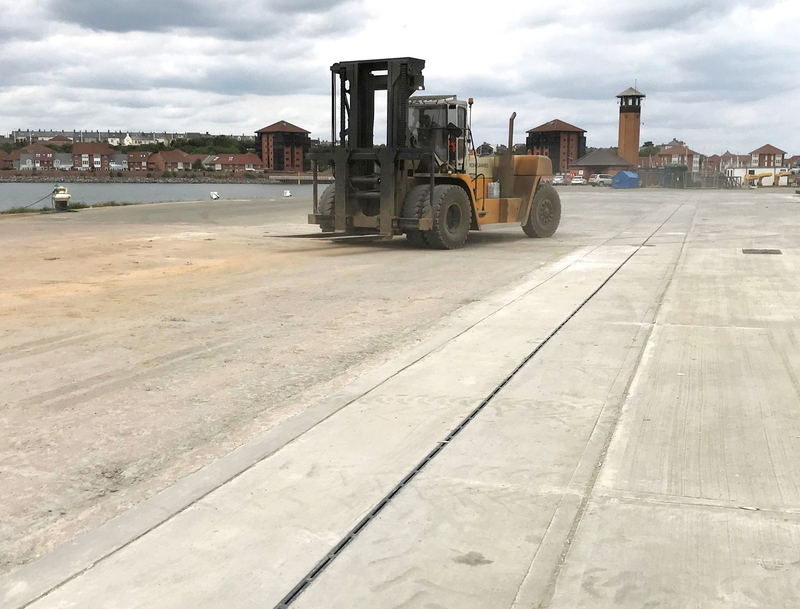 Designed to resist the rigours of site work, 180 metres of Hauraton RECYFIX® HICAP® 8000 high capacity channels were installed to drain the Port Sunderland wharf area. 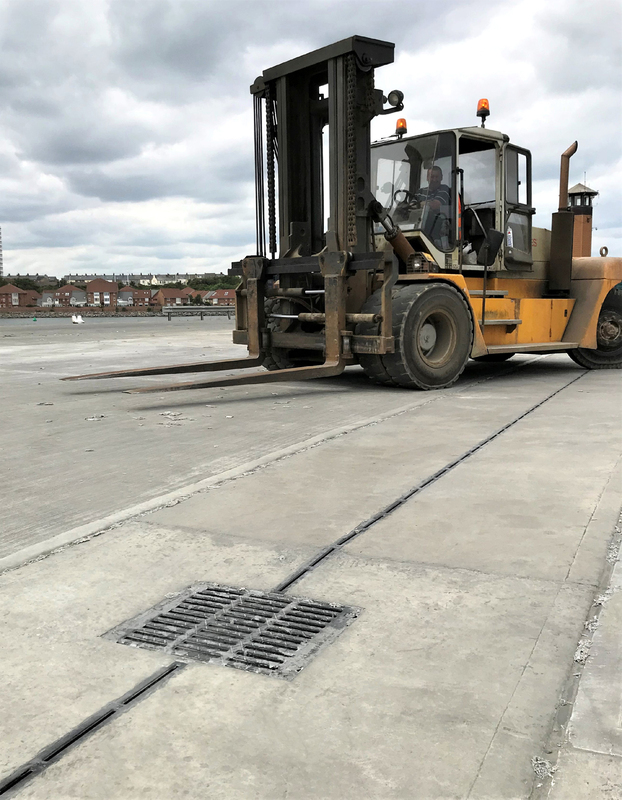 Factory fitted with 14mm wide slotted ductile iron inlets, the channels comply with a loading class of F900 so can easily take the weight of the fully laden vehicles employed. 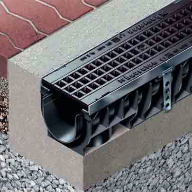 Importantly, once installed the complete channel system is highly resilient to the twisting forces imposed by their wheels. 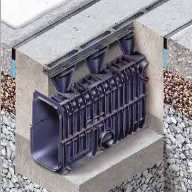 The RECYFIX® HICAP® one metre channels used each have a water capacity of 171.4 litres so the180 metre channel system installed is able to accept a water volume of 30852 litres. 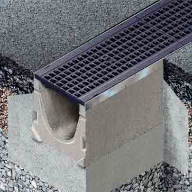 Trash boxes to match the channels were also supplied.